Decorate your home with the tree skirt to create a nice Christmas! 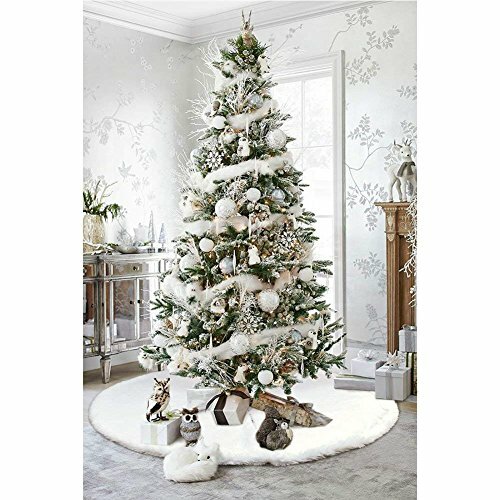 Beautiful and stylish faux fur skirt white tree 36inches, very warm and soft, stuffed animals. in the winter, christmas. Easy to install quickly and easily, which fits around the base of the tree because of the velcro is setting on the edge of the skirt of a christmas tree. Very perfect for winter and christmas decorations on the theme of dreams. note: - hand washing, cold and dry in the air. We offers different selections of christmas decorations, please kindly check our store and take a look at the most popular christmas decorations. If you have any questions about this product by FDY MY, contact us by completing and submitting the form below. If you are looking for a specif part number, please include it with your message.